Although all dogs are a great companion, there are certain dog breeds that connect well with children. 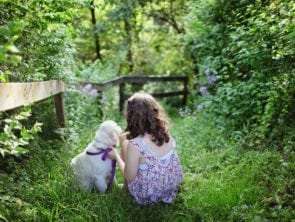 Find out what are the best dogs for kids and why you should keep them close together. Dog doors, or puppy flaps, are a small portal in a wall, window, or a door. They serve as a doorway for your pet to roam freely from the comfortable indoors to the vast outdoors, and vice versa. Are you looking to give more freedom to your feline friend? 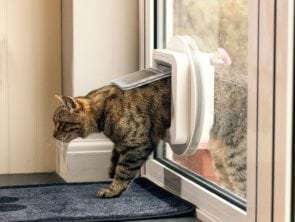 Are you secretly hoping to make your life easier by installing a cat door into your home? Cat doors are undoubtedly a useful addition to any cat-friendly house as they allow your pet to come and go as it pleases. They can give your cat the independence it needs to explore the great outdoors and express its feline behavior. What are the Benefits of Using a Pet Door? Are you thinking about installing a pet door at your home? Did you finally decide to open a new world of freedom for you and your furry friend? 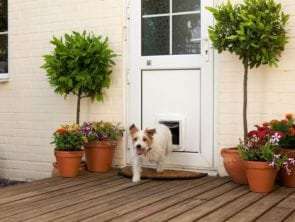 Doggy doors and cat doors have been in use for centuries now, starting off as simple holes in the walls. 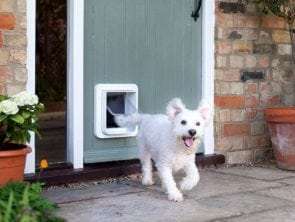 Dog doors are a great way to give your four-legged friend freedom and independence. They conveniently let your dog come and go as it pleases, while at the same time keeping your home insulated, secure, and accident-free.